Palo Santo is an incredible smelling sacred wood from Brazil. Used in a similar manor to a sage smudge stick, you light the tip, breathe on it and walk around your house/space to cleanse and sanctify it. 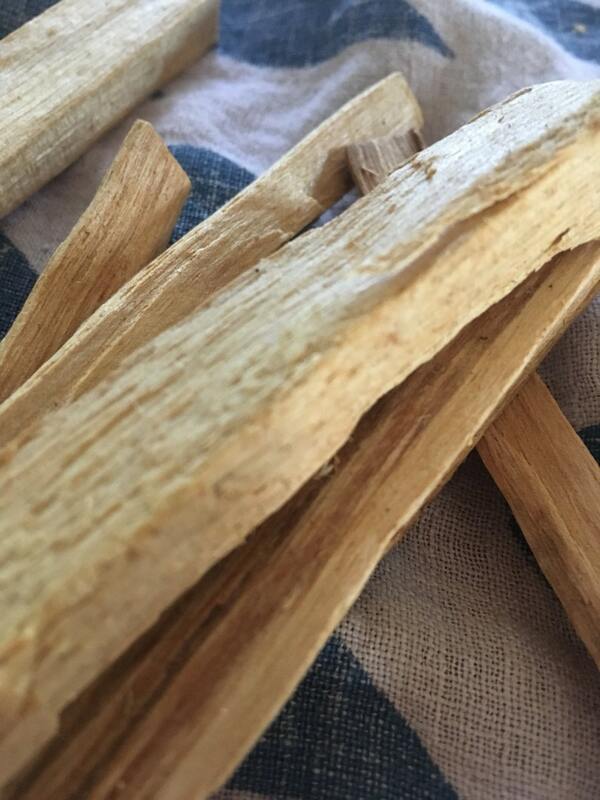 Palo Santo is one of my absolute favorite aromas.